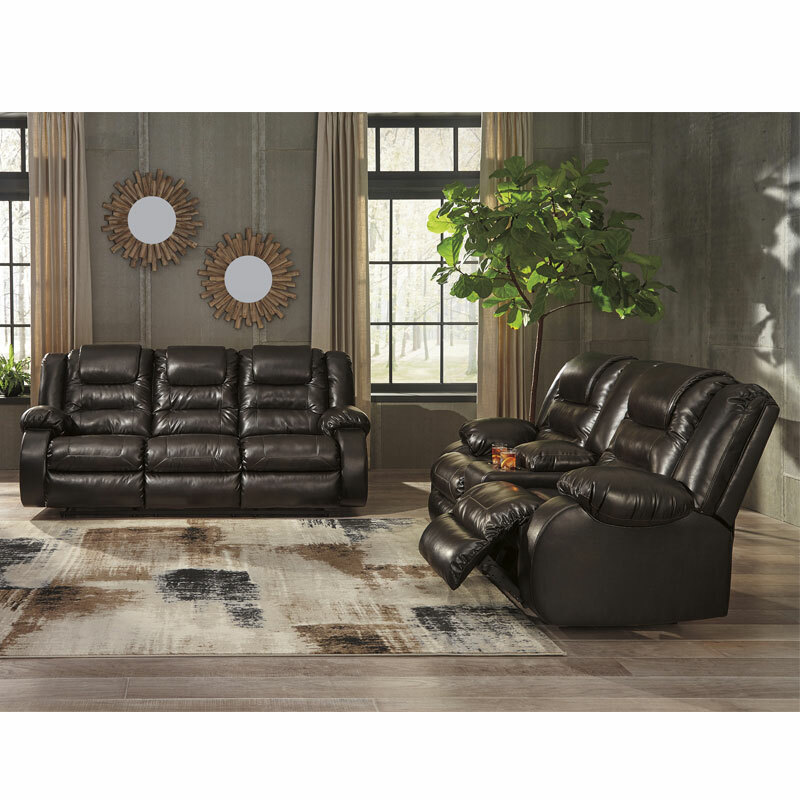 When it comes to comfort, style and value, the Vacherie faux leather reclining sofa in chocolate brown rocks. Tailored for feel-good flair, its fashion-forward bustle back design is enhanced with sculpted padding on the headrest for cradling support. Channel cushioning along the sides flows into thick, wrapped pillow top armrests that are truly over the top. And while it might look like you broke the bank, a sumptuously soft leather-like fabric keeps indulgence well within budget.